There’s an axe murderer, a Walmart greeter, and a sasquatch in this photo…good luck finding them in the dark though. The darkness gives most people an uneasy feeling because its impossible to tell what might be hiding just outside your view. Sure, feeling the weight of your carry gun on your hip might make you feel better, but there’s no point in carrying a gun at night if you can’t shoot it accurately. Sure, you can add a flashlight to your pistol, but that’s not going to help you see your sights. This is where adding night sights to your gun can be useful…and can even save your life. We’re going to go over just what night sights can do for you, how they work, and why you need them on your carry gun. A night sight is, in most cases, a replacement sight that glows in low light so you can aim better. There are two different types of night sights. Fiber optic a colored piece of glass that use what light is available to illuminate. The other type is filled with a radioactive material called Tritium and create their own light. Aside from being brighter than the white dots most guns come with, they are usually colored bright colors…making them even better for low-light shooting. If you are buying them to replace your white dot factory sights, you can usually pick your colors. The choices are usually red, green, yellow, and orange. 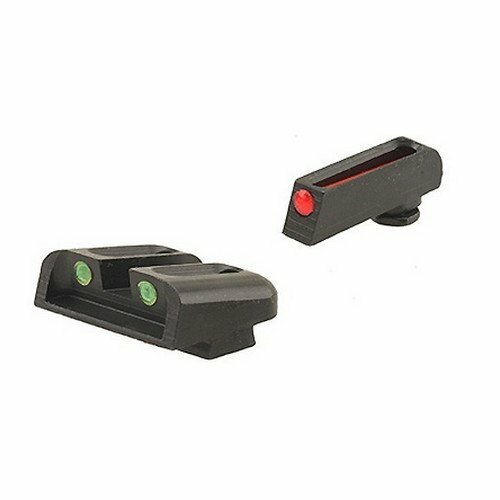 Many of the optional night sights can be bought in a matched color pair or dual colors. Different colors can make night sights much easier to use. Many of the newer guns are coming with night sights right from the factory. Most are a name brand, not just something the gun manufacturer hastily designed and added as an option to gain market share. Having them as a feature, not an option save you money in the long run if these style sights are an immediate upgrade for you anyway. What Are the Benefits of Night Sights? Well, for starters, you can suddenly shoot – accurately – in the dark. For a minimal cost, you get a super power. To be clear though, you can only see your sights in the dark. 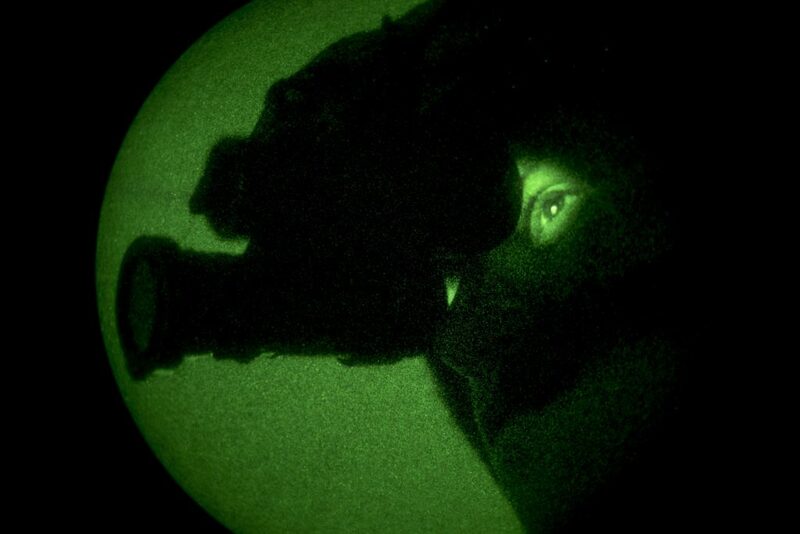 If it’s dark, a night sight isn’t going to brighten up your target; that’s what night vision is for. But who wants to carry around night vision goggles all the time just in case? Carrying night vision goggles isn’t really super practical for those “just in case” situations. Instead, adding a sight that is much more visible in low light situations is a vastly smarter purchase. You’re trying to gain an advantage by acquiring your target quickly and accurately, no matter what. Night sights help you do that. Another thing you will when adding these new sights is a general upgrade to the factory sights. Say for example, you have a Glock 19, a Springfield Armory XDm, and a Smith & Wesson M&P9. All of these pistols have different sights. 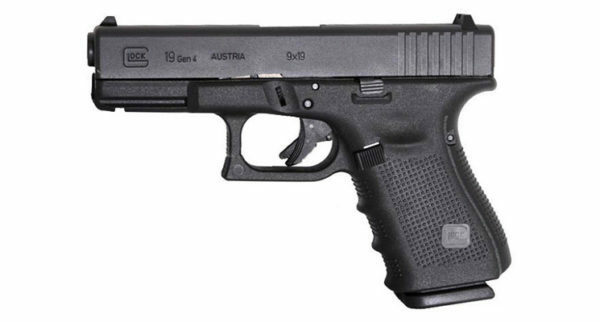 The Glock has a different grip angle than the other guns and needs to be held slightly different. It can take some getting used to if you are new to them. It might be one of the best carry pistols around, but the Glock 19 does have a weird grip angle. When adding the same brand aftermarket night sight (or sight upgrade of any kind) you gain familiarity. While you can train and train and train so you can fire all of your weapons without even thinking about it, when you are new to shooting, having the same sight will help you aim easier no matter the gun you’re using. Certain shades of red will get lost against some backgrounds. Having a green front sight may make more sense for you. Have a hard time with green? Try a yellow sight. This is especially important for color blind folks. One of the biggest problems with shooting in the dark is losing your sights against the brightness of a muzzle flash. Seeing the target, though, is a different story altogether…might be a good idea to pick up a CCW flashlight too. Despite the name, night sights aren’t just for shooting at night. You have the glow for night and typically a white ring for the times when the glow might get washed out because there is too much light. Trijicon’s night sights make shooting in any light easy. If you have your gun in or on your nightstand (really you should have it in a good gun safe, but let’s assume you aren’t perfect about that) at night and need to investigate a potential break-in at your house, you can easily spot your gun in the dark. The same holds true if you drop your gun in the heat of the moment. You won’t need to feel around on the ground and look through the grass to find your pistol. The glow will help you see it quicker. Granted, its better to just…not drop your gun…but anything can happen in life-or-death situation and no advantage should be overlooked. What Are the Cons of Night Sights? Now that I’m done talking up night sights, there are, as you might expect, some reasons that may deter you from night sights to your concealed carry pistol. #1 Most fiber optic night sights are more fragile than they should be. Some brands of fiber optic night sights are pretty cheap and might break easier. Look at the reviews to see what previous buyers have to say about the rigidity and strength of the insert. When it comes to something that might save your life…cheaper is almost never better. These great Truglo sights are a solid choice that won’t cost too much. #2 The glowing sight can be a distraction. You might be more likely to take a split millisecond to fully align the 3 glowing dots. 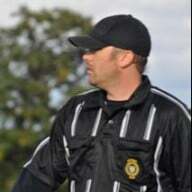 In a defensive scenario, you need to have proper aim, but it needs to be just good enough to hit your target. You aren’t necessarily needing to have a 1” grouping, anywhere in the kill areas will work. #3 A glowing sight won’t substitute for shooting fundamentals. Knowing how to aim and shoot a pistol properly will greatly trump just adding night sights. When you learn the fundamentals of shooting, you learn how your gun’s sights work, how to aim, how to raise your gun to your dominate eye instead of tilting your head down to see the gun…these are the things that will keep you alive in a defensive scenario. When you train, you do this over and over and over and over. Then again over and over and over again. Getting your draw down, and being able to get on target quickly will be much more effective than any sight modification. What you are doing is making sure your body knows what to do without thinking. This muscle memory isn’t limited to daylight situations; you can do it blindfolded. Night sights will aid you in aiming in low light, but your instinctive shooting will help you more. Here are my thoughts on adding night sights to your CCW pistol, or any gun for that matter. When you have a gun, you are protecting yourself from possible harm. When you add night sights, you are bettering your chances aiming properly in a low light scenario. When you upgrade your gun, train in real world scenarios, wear clothing that makes your draw easier, or do anything of the sort, you are giving yourself a greater advantage against an assailant, and increasing your chances of coming out alive if the situation arises where you fear for your life and need to draw your weapon to defend yourself. Any advantage is a good one. And in the rare case you do have a defensive gun shoot…make sure you’re protected with USCCA’s CCW Insurance. Read my review where I compare them vs NRA’s Carry Guard. What are your thoughts about adding night sights to your carry gun? Do you have any advice for those who want to slap some on their own carry gun? Let us know in the comments below! Going to give this a try, well after this article was written. If you could only choose one, which would it be for a concealed carry, say around 3” barrel? 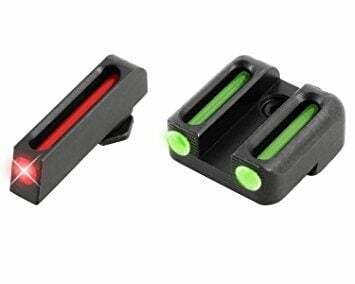 1)night sights, 2)red laser, 3)green laser. I’m trying to decide and don’t want to add on. I want to purchase with one of those three choices already mounted. I carry a S&W 38 model 442 and unfortunately there are no night sights. I just like revolvers which are simple and easy to use. 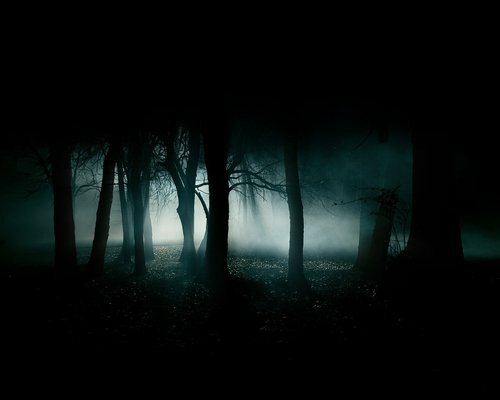 you wont see green trees at night!